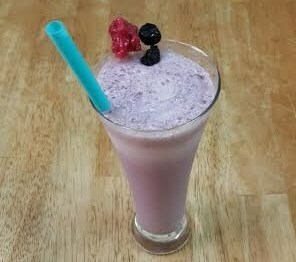 Add blueberries, raspberries, strawberries, banana, yogurt, sugar and ice in a blender. Blend it until smooth. Pour in serving glasses and garnish with blueberry & raspberry.